Contains a list of applications that are loaded each time you start AutoCAD. This can be handy when you use a lisp file in daily use so that you don’t need to load it every time. The lisp files in the start up suit are loaded automatically whenever a new drawing file is opened. 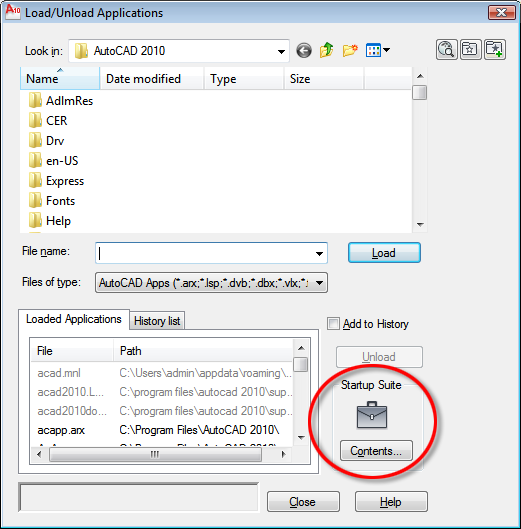 Note: when you adding lisp applications to startup suite contents, add only lisp files which you need to be loaded when you start AutoCAD. This a nifty trick, thank you for sharing! May you please instruct me, how to draw "spiral to spiral" curve in alignment.